Cue in the pomp and circumstance, it’s graduation season! If you have a loved one about to take their first foray into the big, bad world of adulthood, make sure to equip them with the tools they need to succeed. Just as a business suit and proper shoes make an impression, so do the items you carry into an interview with you. First impressions can make or break a job interview, so help your graduate celebrate all their hard work by giving them something that will spark small talk and convey an aptitude for preparation, professionalism, and personality. 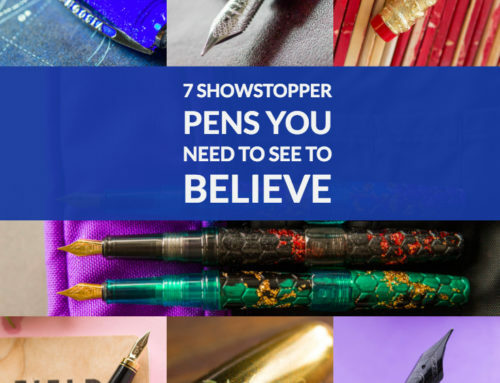 No matter what their major or future plans, a fountain pen is at once practical, useful, and perfect for any profession. 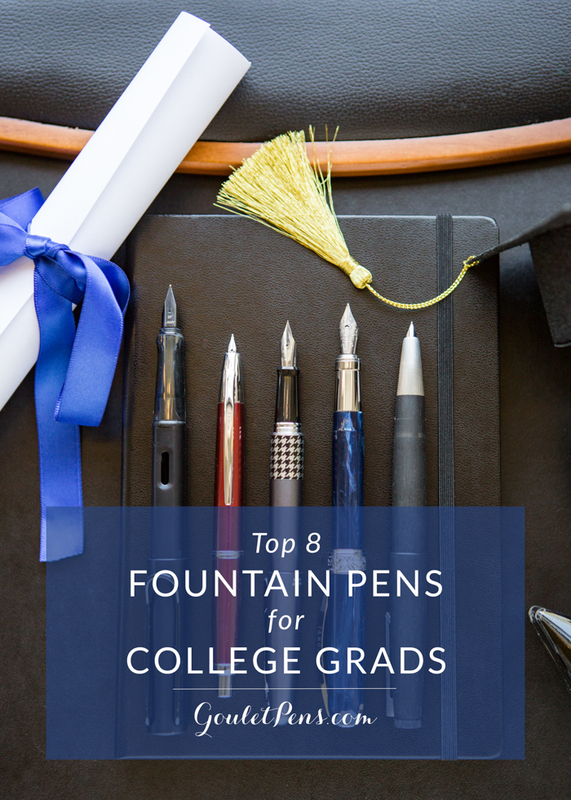 Here are our Top 8 Recommendations, from package sets to pens, ideal for your graduate. 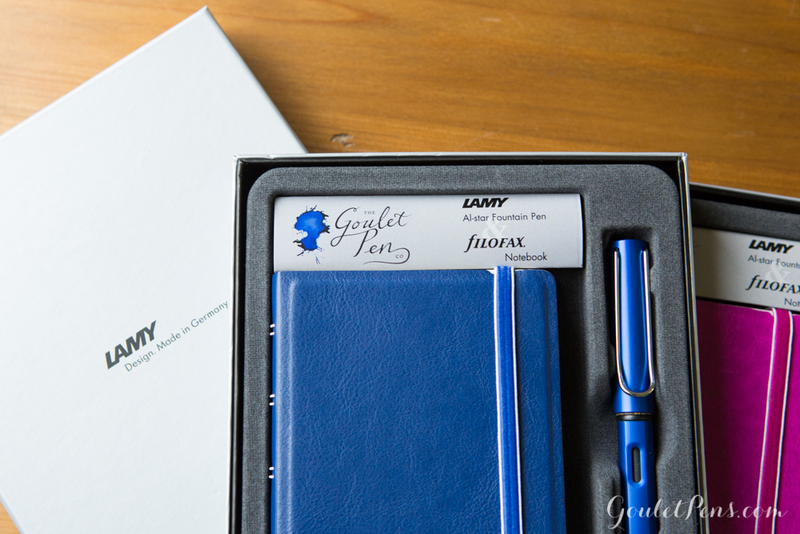 This set pairs a Lamy 2000 fountain pen with Diamine 1864 Blue Black ink and a Leuchtturm Notebook. It’s the perfect combination to show both professionalism and personality. The fluid lines of the pen mimic the smoothness of the nib. 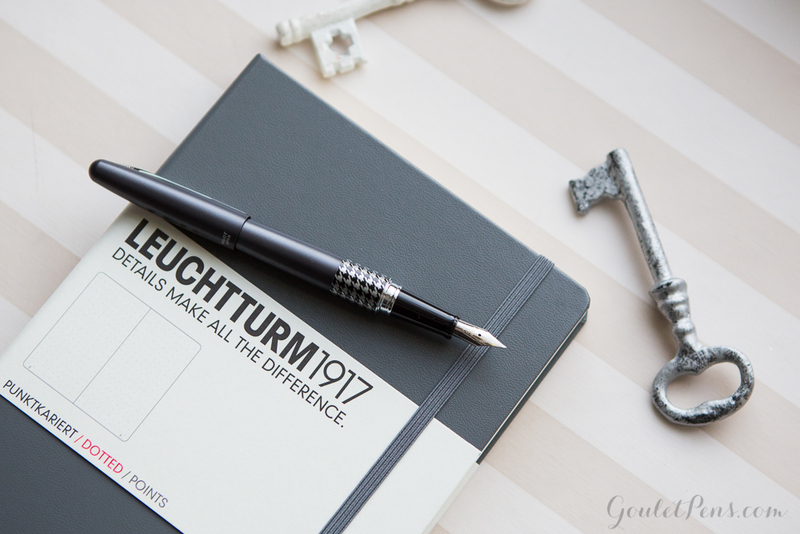 When paired with a Leuchtturm 1917 notebook, it will glide effortlessly across the page, prepared with questions for the interviewee. Make sure you choose the paper properly suited for their chosen profession- blank for creative fields, graph for engineering, lined or dot grid for most anything else. 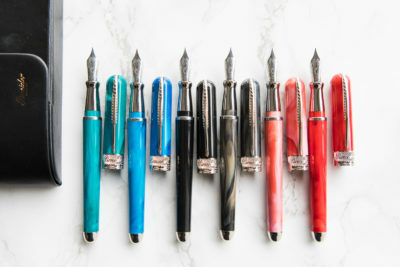 You can find the Boardroom Boss Set at Gouletpens.com for $174.90. The Basic Black Set is understated, stylish, and sophisticated. The combination of a Lamy Al-Star Black with Noodler’s Black in and a Rhodia Webnotebook will work for any future professional. 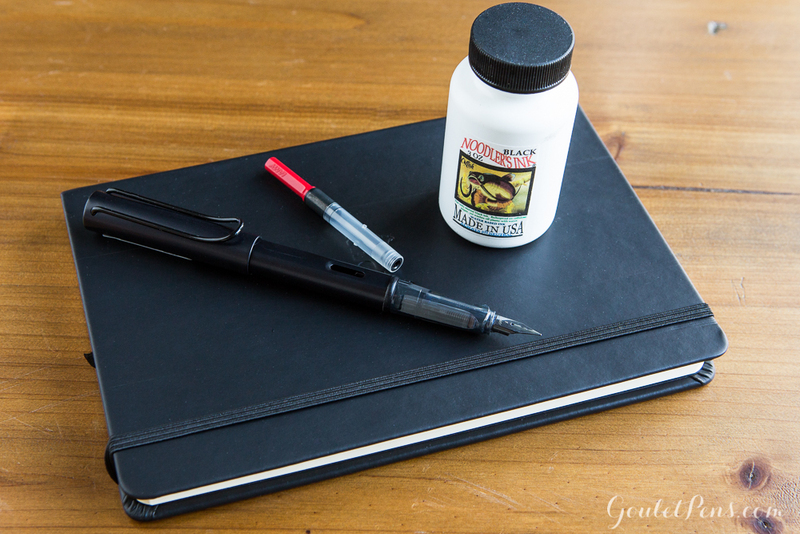 There is a reason that Noodler’s Black is our top selling ink- it’s a solid black ink that is incredibly well behaved and bulletproof. For anyone working in a serious environment, these are the tools that will help them get the job done. 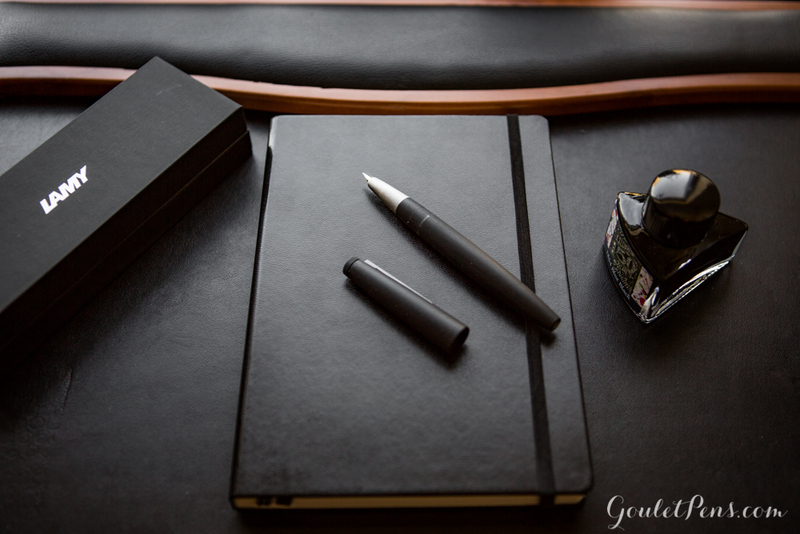 You can find the Basic Black Set for $64.90 at Gouletpens.com. For the savvy shopper, the Lamy Al-Star & Filofax Notebook gift set is the perfect gift for your graduate. It comes in four fun colors, Black, Blue, Orange, and Purple. The pocket sized Filofax Notebook is ideal for organization since it has removable pages and tabs. Move notes around and swap in graph, blank, or lined pages depending on your needs. The set is currently on sale for less than the cost of the pen alone! 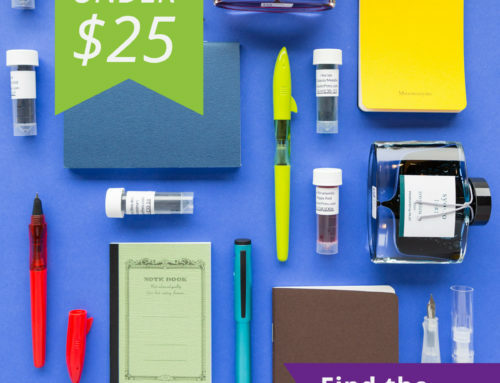 Get your Lamy Al-Star & Filofax Notebook for $34.99 at Gouletpens.com. Is your graduate’s future rather open-ended? 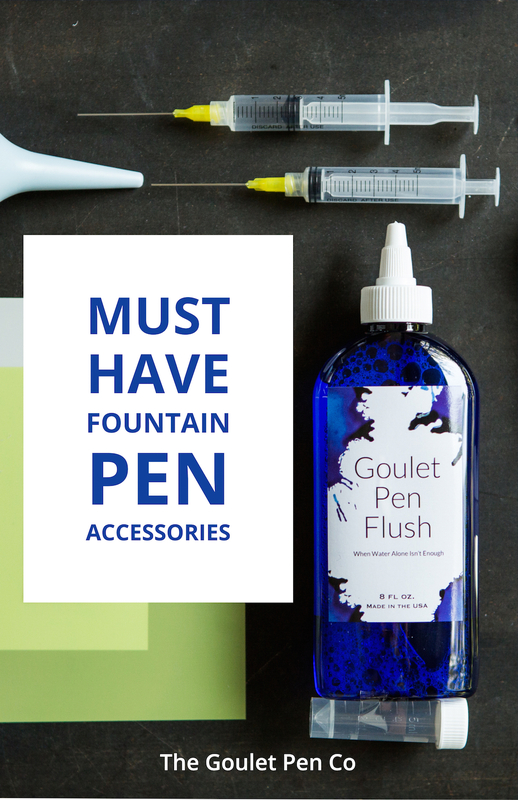 Give them the space they need to plan and dream with the Fountain Pen First-Timer set. 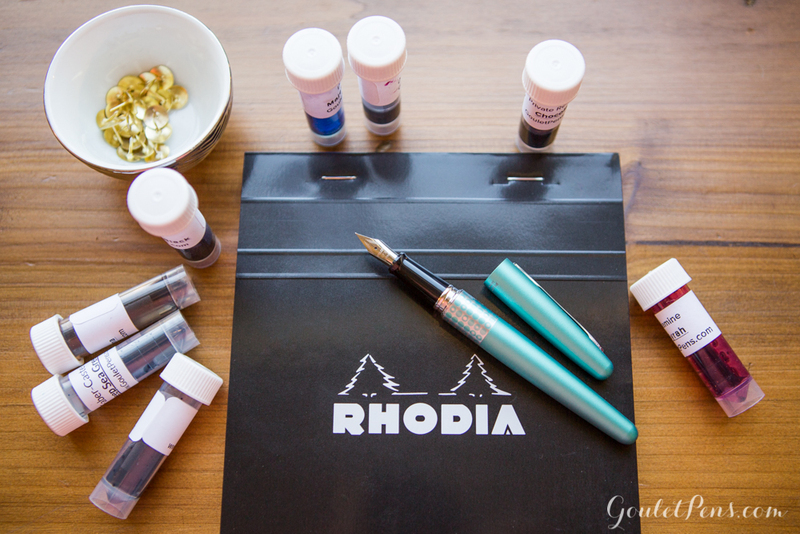 This set combines a Rhodia No. 16 Dotpad, a Surprise Me! 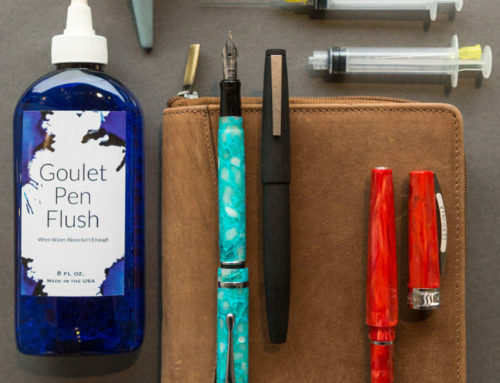 ink sample package, and a Pilot Metropolitan Retro Pop fountain pen of your choice. 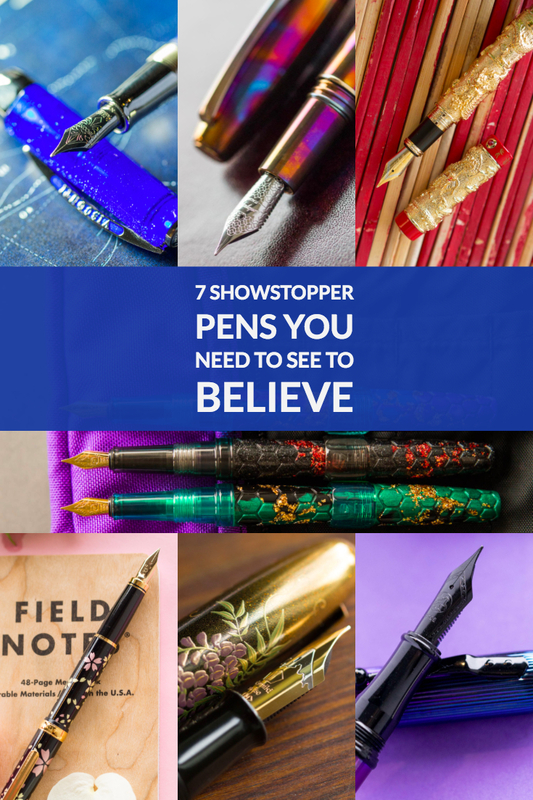 The pen shows a pop of personality while the ink combination will let them choose how to express themselves. 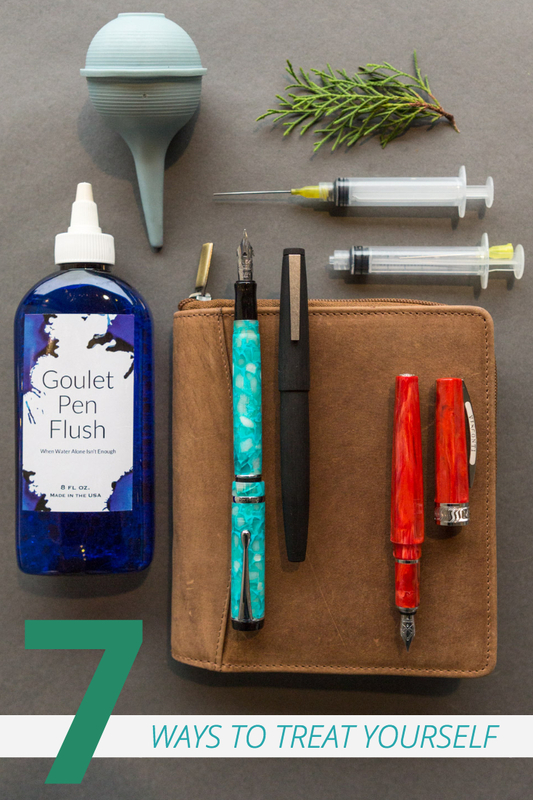 Grab this excellent gift at Gouletpens.com for $26.90. Does your graduate need help getting it all together? Give them the Bullet Journaling Starter Set in medium or large to help them get kick started on planning for their future. If you’re not familiar with the system, check out Ryder Carroll’s website or Kara Benz of Bohoberry. The Bullet Journaling system is entirely customizable, as is this set. Choose a Pilot Metropolitan Retro Pop in their favorite color, a Leuchtturm 1917 Notebook to match, and a practical pack of cartridges. 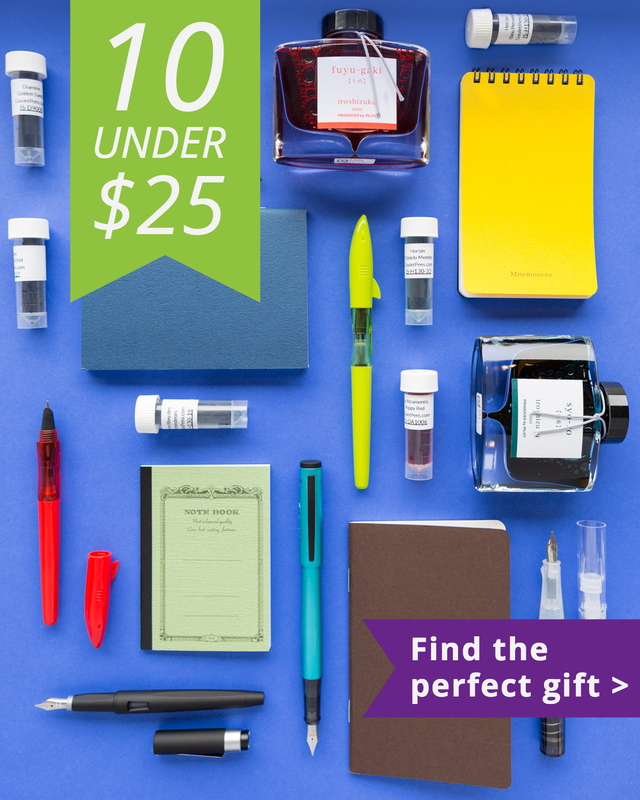 The Bullet Journaling Starter Set is available in Medium for $36 or Large for $47 at Gouletpens.com. Give your favorite graduate the gift of confidence. 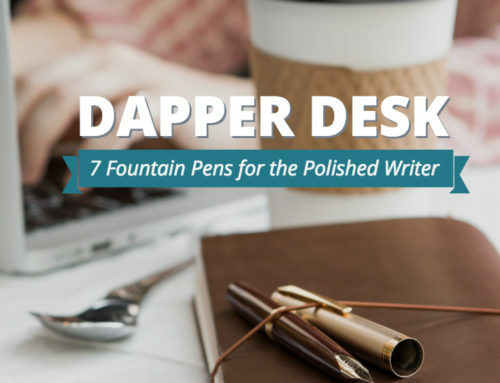 If the pen is mightier than the sword, outfit them for the battle of business with a pen made to win the war. 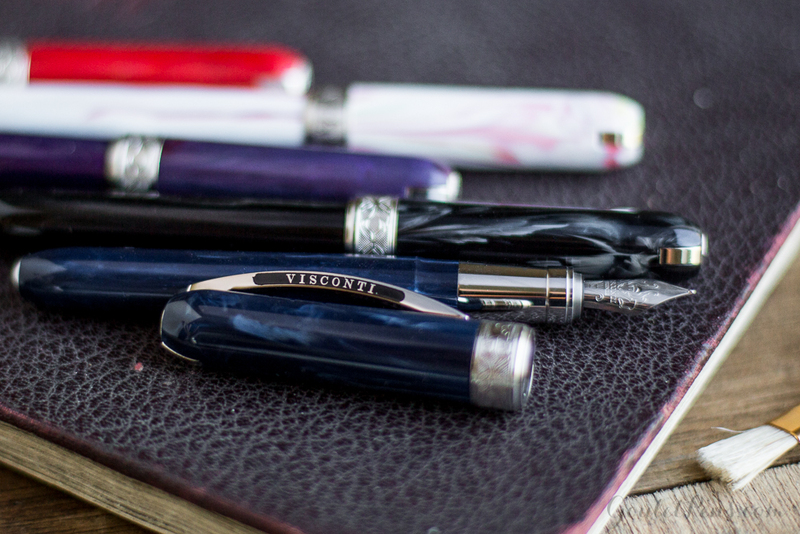 The Visconti Rembrandt exudes a refined sensibility, as well as an appreciation for culture. It is available in several colors to match any future endeavor. 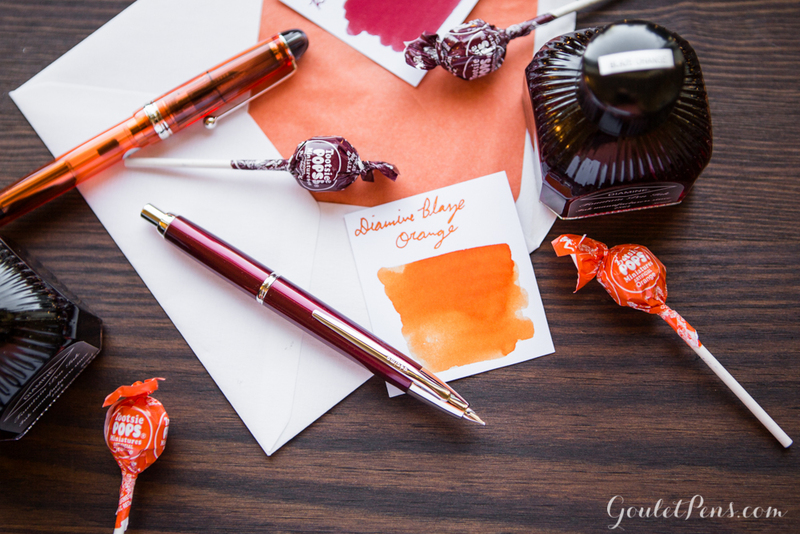 The Visconti Rembrandt is available at Gouletpens.com for $165. If you want to give them something that celebrates their school, give them a pen and ink to match their colors. Use our Swab Shop or Pen Plaza to compare and contrast pens and ink across brands and colors. Bring their love for their Alma mater in a subtle way by pairing orange and maroon or blue and gold, or whatever their colors may be. 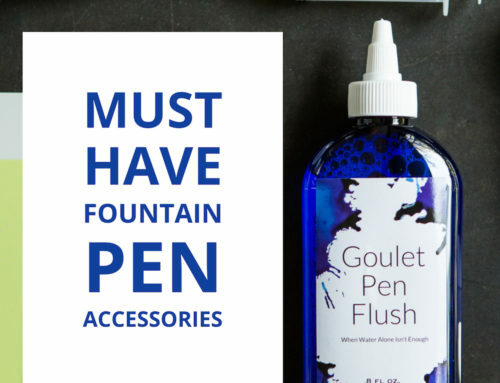 We have hundreds of fountain pens and ink to choose from at Gouletpens.com. 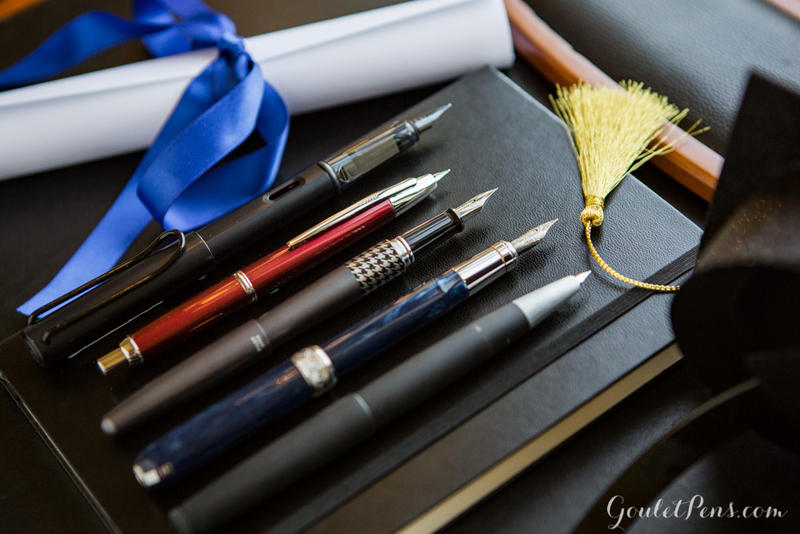 Did you receive a fountain pen as a gift for graduation? 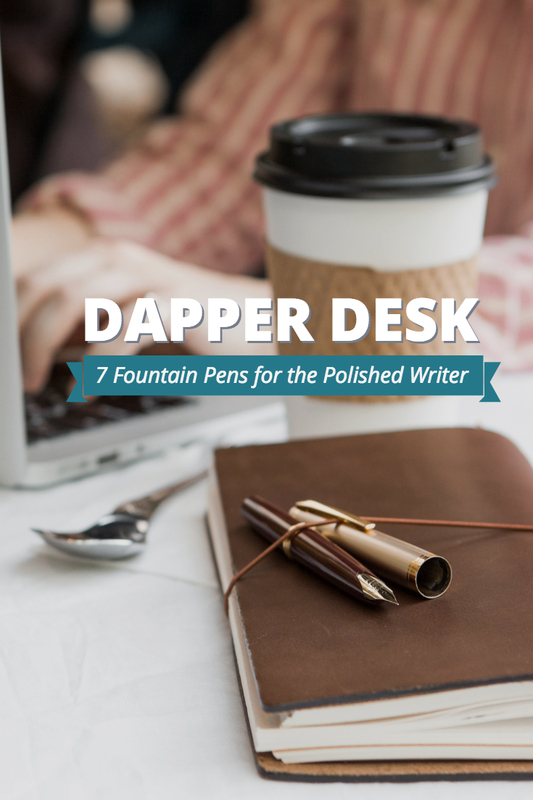 How have fountain pens improved your experience at work? Leave a comment below and let us know!